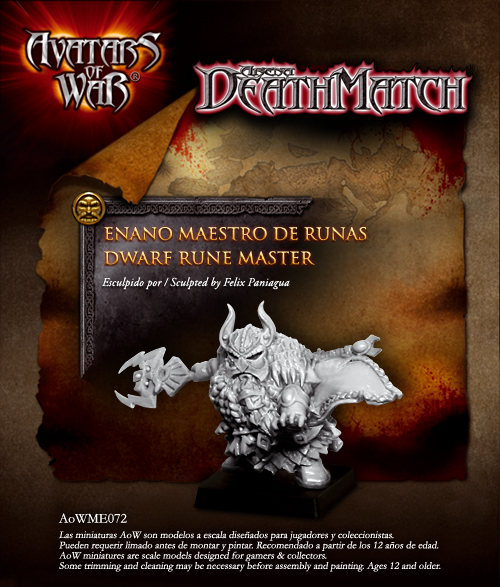 Avatars of War has a pair of new characters available over in their webshop in the form of the Dwarf Rune Master and the Naga Queen. This month a new character for both Arena Deathmatch and Warthrone. Carrying on with the new dynamic-posed Arena specific releases, this new Dwarf Runemaster is in a close combat pose wielding his runic staff. Although they prefer attacking the enemy through the magical power imbued in their runes, these priests of Tyr are also expert fighters for they are trained from youth in close combat using the dwarven rune staff. 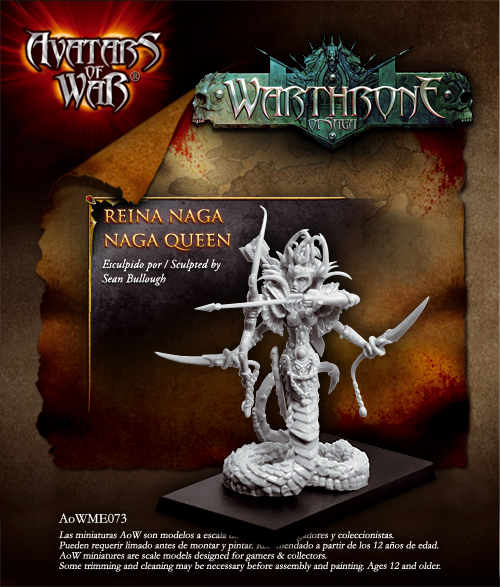 For Warthrone, a new character for Dark Elves, a Naga Queen. Nagas are at the very top of the Banir society, where they are worshiped as the purest beings of their race. Every Naga is personally chosen and created by Nemesis herself, from the strongest and deadliest of her followers. Those Dark Elves who are chosen, must pass a series of terrifying tests to become a Naga... those that fail are transformed into horrid forms, the Forsaken of Nemesis.